Watch out Apple and Fitbit! Emporio Armani is entering the field of connected wearables with the Emporio Armani Connected collection of hybrid smartwatches. Already available at www.emporioarmaniconnected.com and select boutiques and wholesale accounts worldwide, these smartwatches are the perfect gift for the fashionistas tech heads this holiday season. “Today, technology decisively influences our daily lives. There’s an app for everything. I’m delighted to present a hybrid smartwatch, which marks the entrance of Emporio Armani — a brand always at the forefront of innovation — into the world of connected accessories. This line of timepieces combines stylistic research, high technological content, immediacy and ease of use,” commented Giorgio Armani. 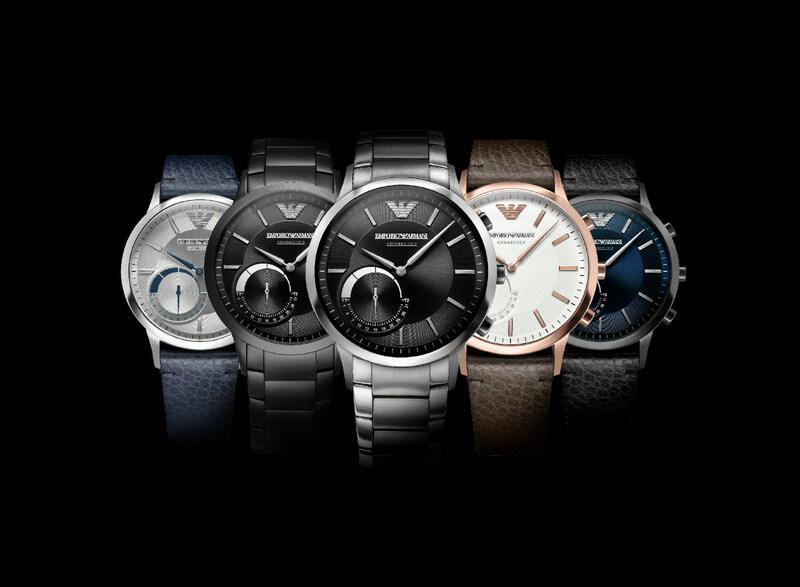 The Emporio Armani Connected line of hybrid smartwatches is available in a choice of rose gold-tone, black, gunmetal, and stainless steel, with a three-piece link or leather strap. The texturised face, with rose gold-tone or silver hands, carries the unmistakable Emporio Armani character. The launch of this line of hybrid smartwatches is the first step of a wider project that will culminate in 2017 with the official presentation of the first Emporio Armani display smartwatch. Share your images of the Emporio Armani Connected hybrid smartwatch using the hashtag #EAConnected. The Victoria's Secret Fashion Show: Paris, Here We Come!